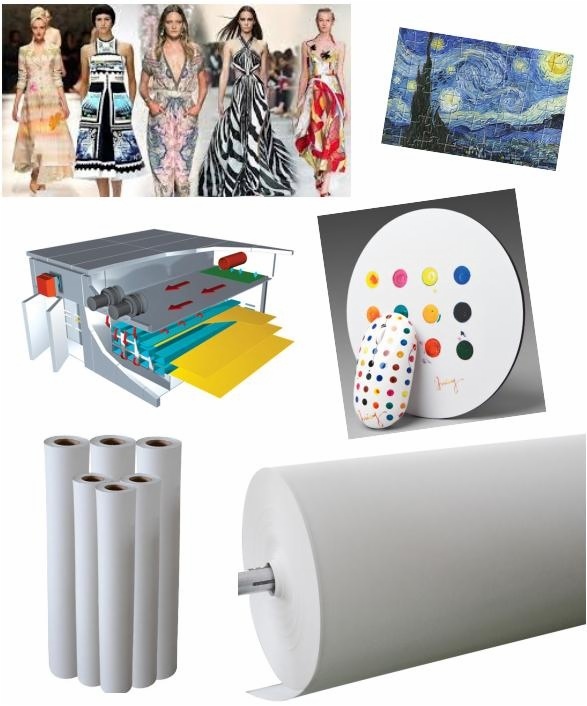 We are the manufacturer of sublimation transfer paper,and mainly produce 45/50/70/80/90/100 normal sublimation transfer paper,100 gsm tacky sublimation transfer paper,dark and light t-shirt transfer paper and sublimation/pigment ink. Benefits 1.high transfer rate,more than 95%. 2.dry quickly ,good curling resistance, print without wrinkingly. 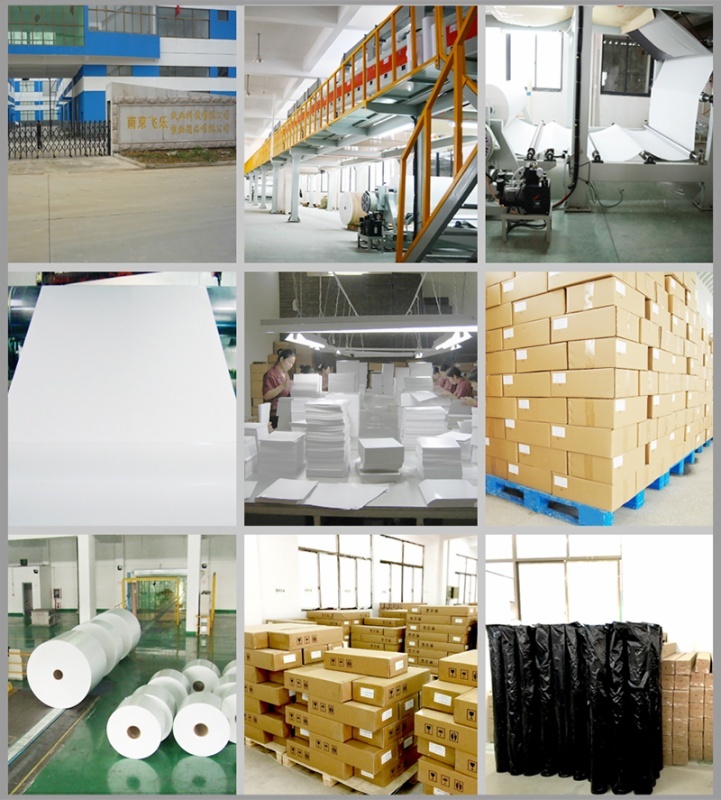 3.Super transfer efficiency, superb color,high color reduction degree . 4.uniform coating,excellent ink realease, small deformation. 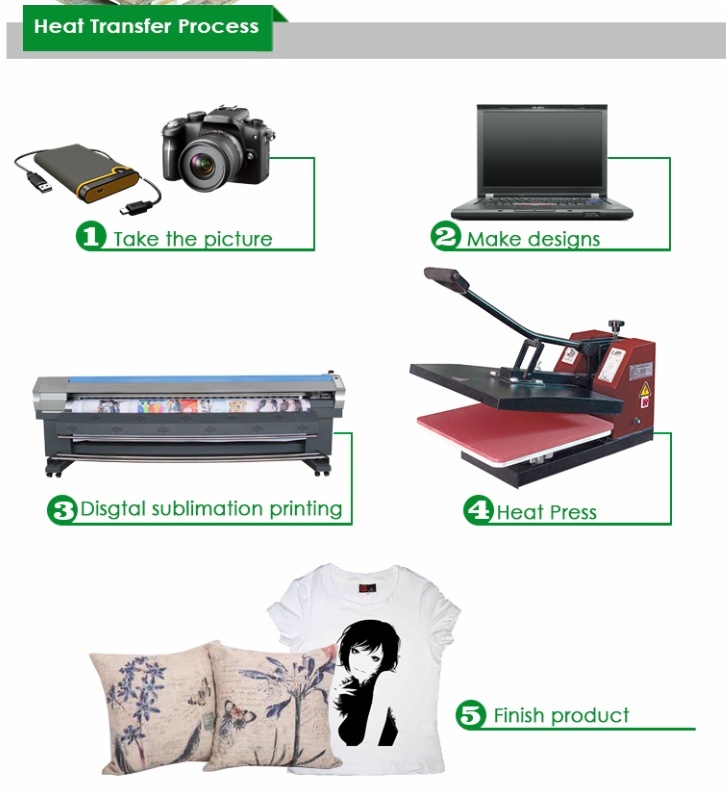 5.Clear image ,full particulars,and can be save for long times after printed. 6.Simple craft, printout directly without plate-making process short, save time and effort. 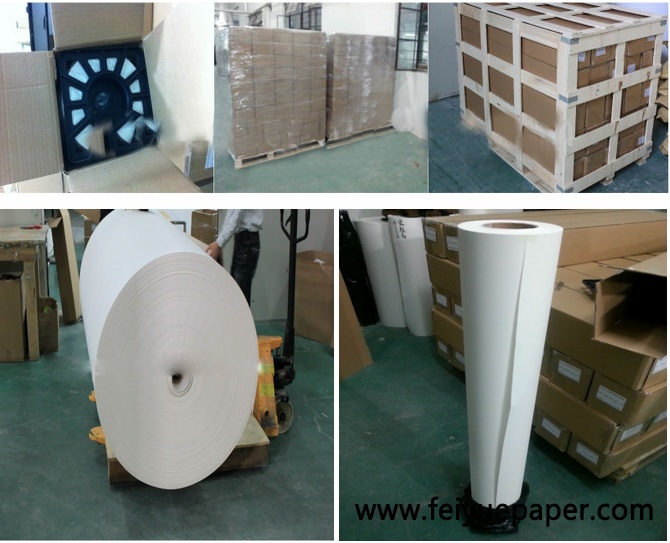 Product Description Sublimation Transfer Paper Mainly used for application of chemical fiber fabrics, apparel fabrics, photo banners, flags, ribbon, ceramics, metal, mugs and other areas, it can keep pace with the world-renowned brands in terms of ink absorption, quick drying, curling and transfer rate.